Animated high poly 3d model of wall clock. 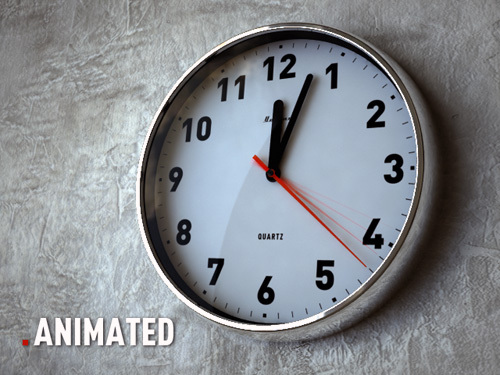 Simply animation on timeline. Clock animation range for 0-24 hours, like a real. Small red arrow moving one per second (86400 sec overall). Other black arrows moves slightly. Rendered with Vray. All textures are included. 3DSmax8 + Vray.